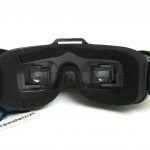 Banggood recently offered us the opportunity review an entirely new style of FPV goggles being produced by the popular Eachine brand, called the EV800D. 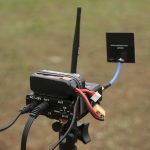 These goggles serve a dual purpose of being both a portable 5.8GHz ground station monitor and a pair of standard FPV goggles. Being that I’ve long been suffering the horrible user interface, battery life and video reception of a 3DR Black Pearl monitor, I was excited to give these goggles a try. Diversity 5.8GHz inputs using the popular RX5808 5.8GHz receiver chip. Built in rechargeable LiPo battery. Support for all five 5.8GHz bands. Built in band selection and channel searching using on screen display. Built in DVR to a micro SD card. 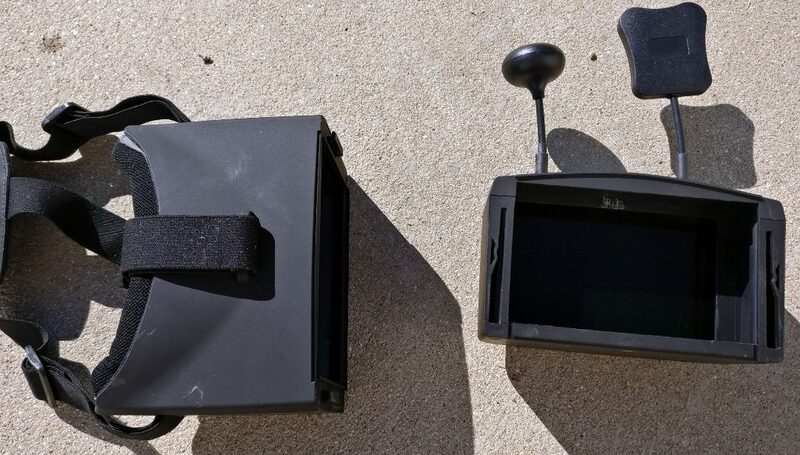 Fresnel lens including faceplate section can be removed to transform headset into an FPV monitor. 6mm (standard sized) tripod nut for mounting monitor as ground station. The faceplate has a good amount of padding, but lets light leak past. I’ve been using these goggles pretty much exclusively for the last month. As goggles, the EV800D only really stands out to me because of its DVR feature. 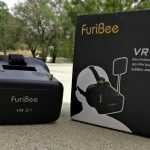 Most inexpensive goggles, like the Kylin KDS and the FuriBee VR01 we have reviewed in the past, are missing this feature. 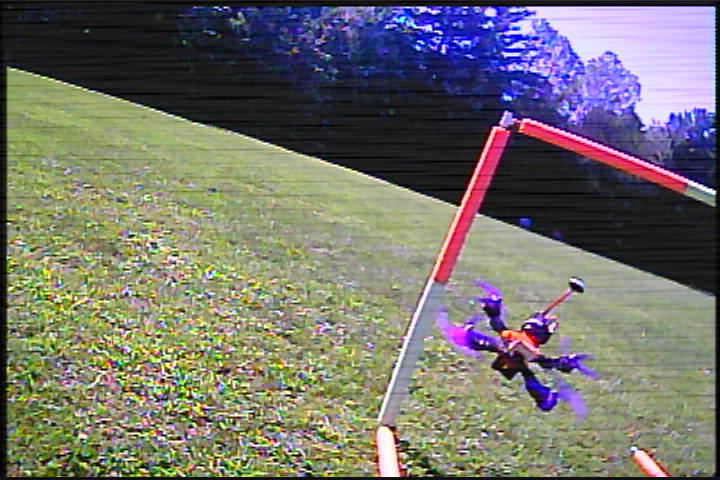 Having a working DVR brings the Eachine EV800D up to feature parity with my $600 FatShark Dominator goggles – quite the deal. 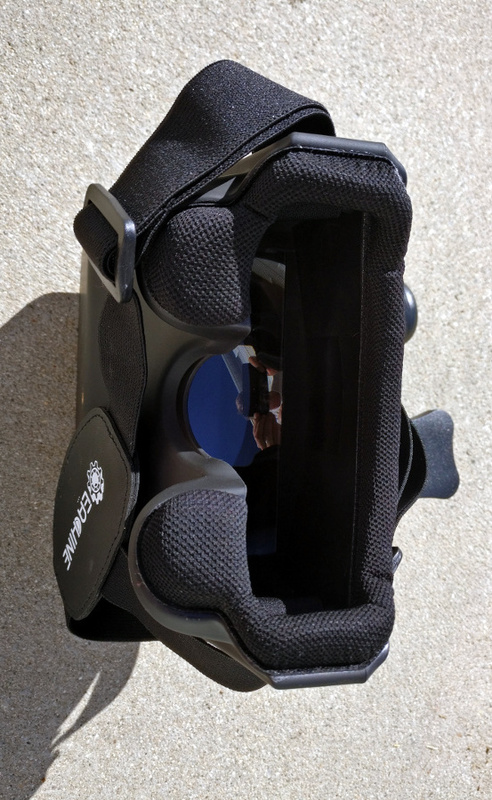 Comfort is always a paramount feature for me when looking at FPV goggles – especially inexpensive ones. I found the Eachine EV800D’s adequate in this regard. They are relatively light for head-mounted goggles, and thus do not need a battery on the back of your head to counterbalance them. The face padding is foam covered in a nylon-like cloth material which was comfortable to wear. There were no hard plastic parts digging into my face like with the Kylin KDS and I have had no problem wearing these goggles on and off for several hours. The comfort does come at a price, though. Goggle manufacturers can make tight-fitting goggles with good ergonomics or loose fitting goggles with a lot of foam sealing material around the face. Eachine went with the latter approach but they skimped on the amount of foam/cloth material that presses into your face. The result is some light leakage problems, particularly around the sides of my face and the nose area. The good news is the screen is extremely bright and even during a high-noon summer day in the mountains I never really had any problems seeing the screen. It was just annoying and felt “cheap”. The built-in battery is a mixed blessing. I love the integrated design which makes the whole headset look and feel well thought out. I also like the built-in battery gauge which is permanently displayed on screen when the headset is on. I don’t like the proprietary charger – why couldn’t they have just used a USB micro or mini connector for charging like other headsets on the market? Along the same vein – the battery life of the headset averaged around 2 hours of use while powered on, so you should expect to need some external power if you are doing a full day of racing with this as your only headset. The good news is that the EV800D does come with a cable you can plug into a 2S or 3S battery to serve as an external battery. 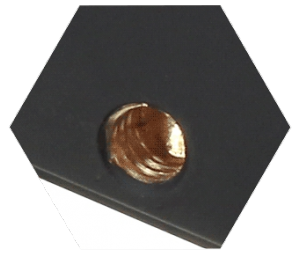 While trying this product out, I used the RHCP omni and patch antennas that were included with the EV800D. Unlike most stock antennas, I found these to be pretty good. I got great range out of the box and switching to my Aomway omnis had very little effect on the range. Other budget goggles I’ve used in the past have had noticeable range issues with the stock antennas. The DVR feature on the headset works great. Unlike FatShark goggles, there’s a nice on-screen indicator to show you when you are recording. Buttons on the top of the headset turn recording on and off. The recorded video is sent to a micro SD card which is easily inserted and removed from a slot in the top of the goggles. Again – very refreshing having come from Fat Shark Dominator goggles which have a slot hidden away in the goggles which requires tools to insert/remove and which has no on-screen indication when recording is actually taking place. I have heard reports of the DVR introducing latency into the video feed of EV800Ds when enabled, but I did not notice the problem with my headset. This is probably fixed by a recent change to the hardware which adds an additional receiver chip into the system. Here is a sample DVR screenshot from reader ScottE. Not something you’ll show off on YouTube, but looks great for tuning or reviewing a race. I was disappointed by the band scanner function. Instead of combing the 5.8GHz frequency band for the channel with the highest signal strength, it simply scans the band until it finds the first channel with no noise. Often this lands on sidelobe channels with a black screen or, even worse, channels that are a few hundred MHz off of the correct frequency. This results in significantly degraded range and weird colors showing up in the picture. Ultimately, I ended up having to pick most channels I wanted to use manually. 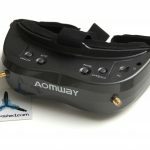 Once you have locked in on a channel, it is saved through power cycles – a nice touch that sadly isn’t the norm with other FPV goggles. A 6mm threaded insert will fit most standard tripod bolts. In my opinion, the “transform-ability” is the killer feature of the EV800D. I think most serious pilots should always carry a spare set of goggles or a monitor with them at all times. This is so you have something to fly with if your main set goes dead, but it is also for showing folks who walk up to you what you are doing. In most cases, it’s an opportunity to potentially get someone new into the hobby – and maybe find a new flying buddy in the process. At worst, it’s a good way to prove that you’re not “spying” on anyone to those conspiracy nuts out there. I prefer to have a monitor that I can show other people – it’s less disorienting to first timers. Monitors also make it much easier to adjust things like VTX channels or certain OSD features. For these reasons, the EV800D is a fantastic in-the-field companion that I can recommend to any pilot – beginner or advanced. By the way – I’ve been finding myself using the DVR features on the EV800D over my Fat Sharks more and more lately, it’s just so much more user-friendly. 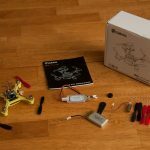 A second model, the Eachine EV800 is available as well. At the time of this writing, it costs $25 less but eschews diversity and the DVR. My opinion is that if you are considering these goggles, you should get the EV800D model I have been reviewing in this article. Even if you don’t think you need the DVR, you will like having it. I don’t regularly use DVR on my goggles but from time to time it is a very handy feature to have. For instance, it can really help with tuning your quadcopter and can be a neat way to capture SOME video from really neat flying spots you find, even if it is of poor quality. Likewise, diversity on the 5.8GHz band makes a huge difference in video range, especially when flying close to the ground. These two features combined are probably the most value you will ever get out of $25 in this hobby. 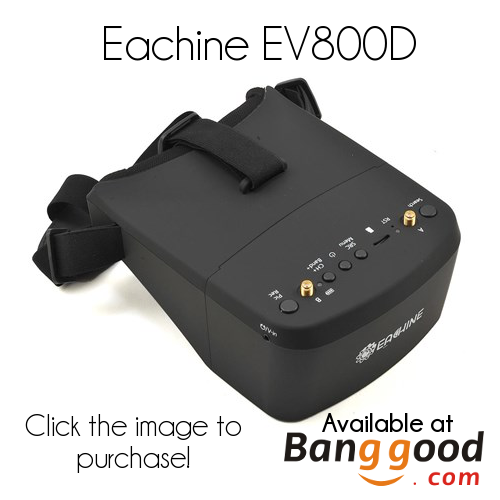 The Eachine EV800D is a very good pair of FPV goggles that really excels as a full-featured monitor which can be placed on a tripod or a table for easy viewing and recording DVR footage. As mentioned above, I think a pair of these “transformer”-style goggles is a must have for any pilot who goes out flying for long periods of time.